The Metrobank Foundation, Inc. pays tribute to the dedication of our Filipino teachers, soldiers, and police officers through the annual Metrobank Foundation Outstanding Filipinos. These exemplary public servants selflessly pledge their lives in the pursuit of service to our nation, quietly fulfilling their sworn duties that yield positive change in their respective communities. Their professionalism, bravery, and sacrifices should never be left unnoticed. 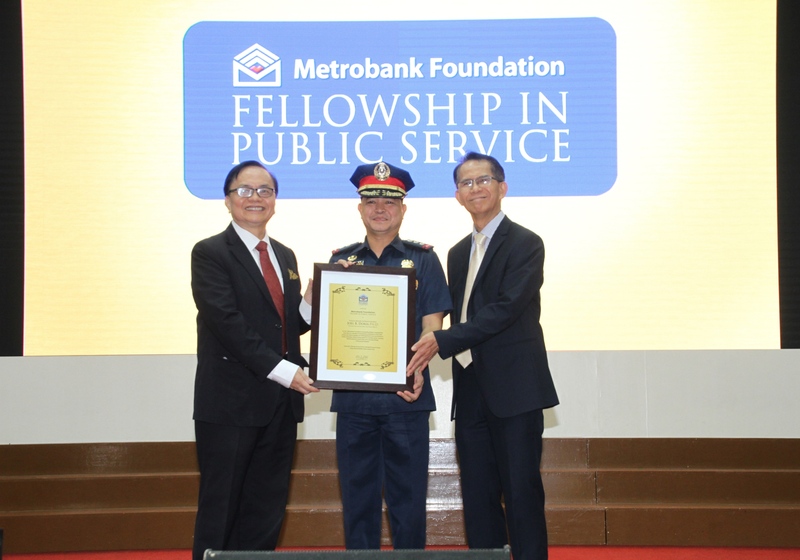 Through the Metrobank Foundation Fellowship in Public Service, professional achievements and personal life stories of the awardees are brought to the fore. Achievements that result to positive change and innovations that address major societal concerns are highlighted and widely shared. Their stories need to be heard, hoping that others will replicate or even surpass these outstanding achievements.